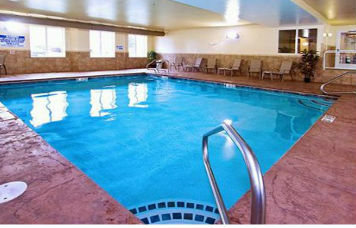 Hotels in Provo UT, Hotels Provo UT, Orem Hotels, Provo Utah Hotels. The Sleep Inn hotel in Provo is located near the Provo Towne Centre Mall, Brigham Young University and Seven Peaks Water Park. The University Mall, Sundance Resort and Thanksgiving Point are just minutes away from our location. Additional attractions include Utah Valley University, Provo Municipal Airport, Peaks Ice Arena, Pioneer Park, and the historic LDS Provo City Center Temple. In addition, there are many seasonal events nearby, such as the world-renowned Sundance Film Festival, the Timpanogos Storytelling Festival and BYU Education Week. The East Bay Golf Course is within walking distance of the Sleep Inn of Provo. The beautiful Rock Canyon Park is also located in the area. Dining, shopping, hiking and enjoying a beautiful view are all within minutes of the hotel. The Sleep Inn of Provo is perfect for a good night's rest or a weekend getaway. Rise and shine each morning with a complimentary continental breakfast and weekday newspaper. Enjoy fresh tea and coffee 24-hours a day. Business travelers will appreciate complimentary wireless high-speed internet access in our beautiful lobby as well as all of our guest rooms. 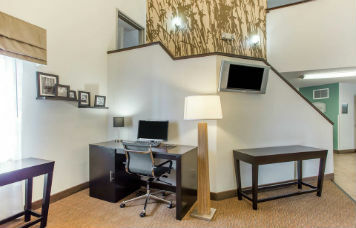 Our lobby features a complimentary business center and guests will also have access to copy and fax services. All spacious guest rooms include refrigerators, microwaves, irons, ironing boards, hair dryers, coffee makers and cable television. Some rooms have whirlpool bathtubs. 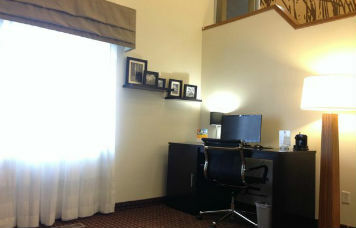 ADA rooms are available as well. Pets are welcome with an associated fee. Our hotel guest rooms are designated as 100% non-smoking rooms. The perfect location, outstanding amenities and convenient access to area attractions makes the Sleep Inn of Provo a great place for business and leisure travelers in the Provo area. 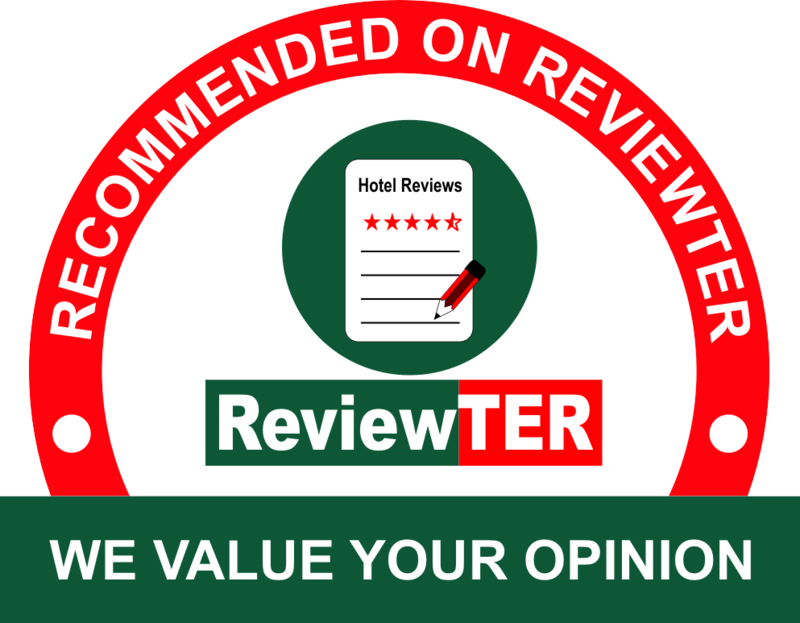 This website is owned and maintained by Sleep Inn Provo a licensed user of certain proprietary trademarks and service marks of Choice Hotels International, Inc.